For a service department you can trust, come into Excel Honda today. 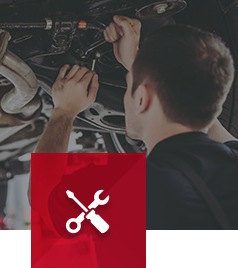 At Excel Honda, we have a dedicated team of service technicians who are passionate about their work, and service technicians available to answer any questions you may have when servicing your Honda. Why choose to service your car at Excel Honda? You can drop-off your keys and vehicle to us in our Key Drop-off box, located under the overhang and to the left of the sliding door entrance to Service. Inside, you will find envelopes and pencils. Leave us your first and last name, contact information including daytime phone number and a brief description of the problem and/or appointment type. Our Service Advisors will contact you when an update on your vehicle is available. Is your vehicle going to be with us for an extended period during repairs? We have service loaner vehicles that can be booked in advance, to help you get back to your daily routine. Complimentary Service Loaner Vehicles are based on availability and some restrictions may apply. Need to get to work, another appointment or want to shop while your vehicle is being serviced? Our Complimentary Shuttle Service can get you there! Whether you’re coming in for an oil change or for a full maintenance service, Excel Honda’s service department will have your Honda running in no time with Express Service. We take pride in our work, and we want to offer you a level of service that will exceed your expectations every time. We have 35 mechanical bays, 15 detailing bays, 24-hour towing service, 45-minute oil changes, and a night deposit service. You can even keep an eye on the work being completed on your car through a TV monitor in our service department! When you bring your car into Excel Honda, rest assured that we’re doing everything we can to maintain your vehicle’s reliability and performance. At Excel Honda, our service technicians will make sure to complete any task with attention to every detail. Our team of dedicated service professionals are available to answer any questions you have and will treat your vehicle as if it were their own. Come into Excel Honda today, and receive top-notch service for your vehicle.